There are 3 critical keys that have been largely responsible for my success in training as well as coaching. Yes, there is science behind it, but most of all, there are these 3 keys behind the training. We use Trap Bars often with our athletes. Get your Trap Bar HERE. These 3 keys are the traits I want to see employed at The Underground Strength Gym (Edison & Manasquan) as well as while I train The Lehigh University Wrestling Team. 3) Treat the Gym like the wrestling mat - a place where you engage in battle and demand victory from yourself. This was the FIRST time Trap Bar Deadlifting for The Lehigh Wrestling Team. This was maybe their 5th workout with me and every workout, we get stronger, faster and tougher. I see NO other way to approach each workout. The thought of maintenance is bull shyt. We train to make gains every workout. You should demand the same of yourself and if you're a coach, demand this of those you train. Set the tone from day 1 and set the tone every day. Drop your comment below and let us know your thoughts on these 3 key traits in training. Was JUST talking about this yesterday! Love it! 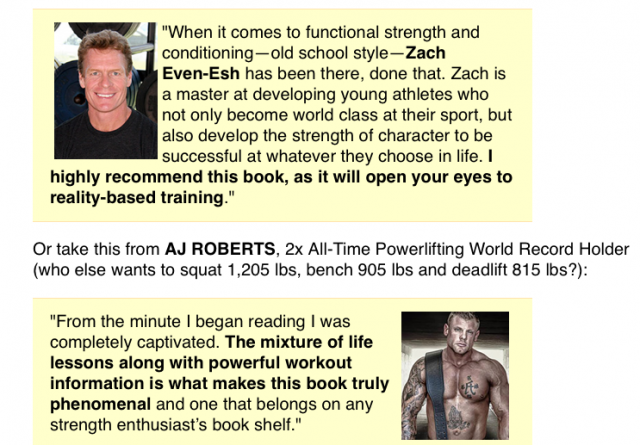 Zach, right on target, if anyone thinks bosu’s, stability balls and all the gadgets that are out there build muscle and strength then they own a ticket to wasted effort and are 100% delusional. Barbell training at any age is the “only way” to get physically/mentally strong in body mind and spirit. I hate trolls. I’ll never forget a video I saw of a 14yr doing a 400 lb. Roman Deadlift with no gear or shoes on. A bunch of LOSERS were criticizing that the boy had on no belt or shoes and that the weight was light. I think LOTS of people are highly delusional. It’s out of control. That 2nd video is LEGIT – I wish I had a coach that sounded like that! These videos are great! I am about to unleash these 3 keys onto my clients and set a code and standard within my studio. If a client can’t/won’t meet these standards then they are out. After watching your workout with the Lehigh boys I was just wondering how you run your group sessions? Is it just a simple rotation system of you rest whilst your partner lifts or do you have a set rest time frame? Tim, it depends on the group of athletes benig training, the workout, their personality, etc. Every athlete, coach, parent needs to see this video….Good stuff Zach!